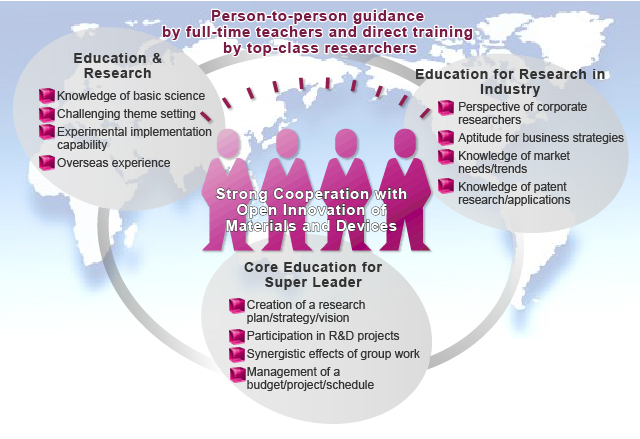 Front-line researchers of domestic/overseas private companies will be sent for this program, and they will build a team of faculty members at Kyushu University and directly supervise the graduate students. Starting from D1, they will provide research training in a group setting in consideration of collaborative research with private companies addressed at D4 and D5. The research theme should be challenging and strategic to maximize the learning experience. An education and research base will be formed for industry, government, and academia in the three areas of Asia, North America, and Europe. 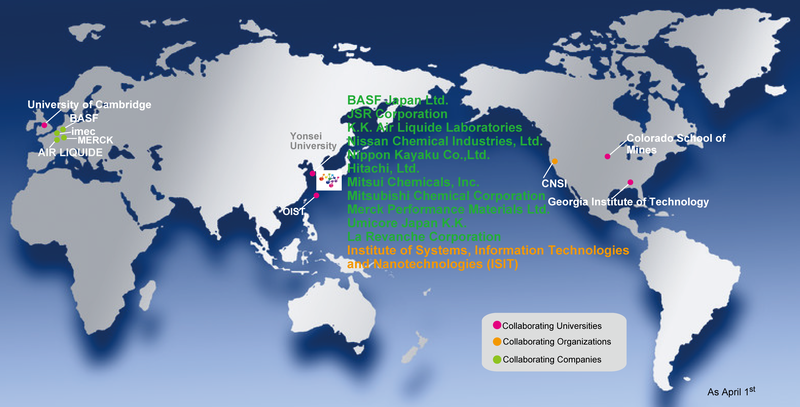 These global, unified collaborations will cultivate super leaders in the field of molecular systems for devices and advance the formation of an international base at Kyushu University (Fukuoka City) for molecular systems for devices.